A Resolute Eagle drone similar to this one crashed at Pendleton's airport around 11:00 a.m. on Saturday. 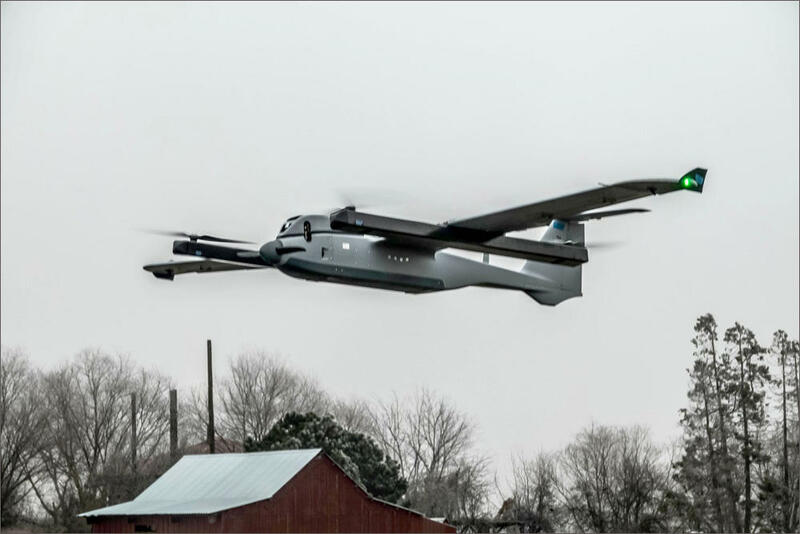 Drone testing by a defense contractor has stopped after one of the company's prototypes crashed on Saturday and set off a small wildfire near the Pendleton, Oregon, airport. No one was hurt when the 150-200 pound reconnaissance drone crashed soon after takeoff from Eastern Oregon Regional Airport. The crash set a field of wheat stubble on fire which the Pendleton Fire Department contained fairly easily with no further damage. The FAA, the Pendleton Unmanned Aerial Systems Test Range and the aircraft maker are now investigating what went wrong. Test range manager Darryl Abling is confident answers will come soon. An FAA spokesman in Seattle said the crashed aircraft suffered “substantial damage” from the subsequent fire. Virginia-based defense contractor PAE ISR has been testing its 18-foot wingspan Resolute Eagle drone in the Eastern Oregon skies since last year. "Until the investigation is complete, everything stops," PAE Marketing Director Polli Ogilvie said. "That is standard procedure." Abling said flight testing by other unmanned aircraft operators at the Pendleton airport and test range can continue in the meantime. The FAA-approved test range extends out from the Pendleton airport over 14,000 square miles including agricultural lands south of the Columbia River and forests of the Blue Mountains to the east. In a press release late last year, PAE expressed optimism that it could find commercial and civilian customers for the Resolute Eagle drone in addition to military missions. "It carries multiple intelligence payloads and offers long endurance capability at an affordable price," the company said.